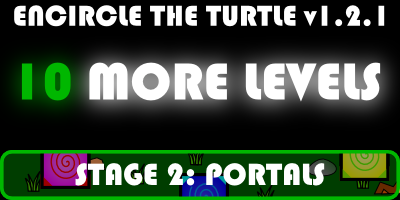 Encircle the Turtle v1.2.1 is live! It features TEN more campaign levels with the introduction of Portals, global leaderboards, and much more! Go get it now!